your meeting at a standstill? Now offering the fastest wifi in Madison! We understand the importance of fast and reliable internet to conduct a successful meeting or conference, that is why the Radisson Hotel Madison has invested in state of the art internet services with the installation of Air Fiber Internet. Whether your meeting requires 4 connected devices, or 400, we have the speed and capacity to keep you online and working! We offer speeds up to 30MBPS, free! "I run a conference for developers who have to be constantly connected and need some serious bandwidth, so we needed rock solid internet. The Radisson's internet not only held up to over 150 attendees with 3-4 devices each, but we received compliments from our attendees on how fast and stable the wifi was. Amazing!" "We've utilized internet networks from professional sports facilities to well known universities across the US and none have come close to the amazing speed and bandwidth The Radisson in Madison has to offer. Their staff is thorough and attentive to the details required for live streaming broadcast at their facility." 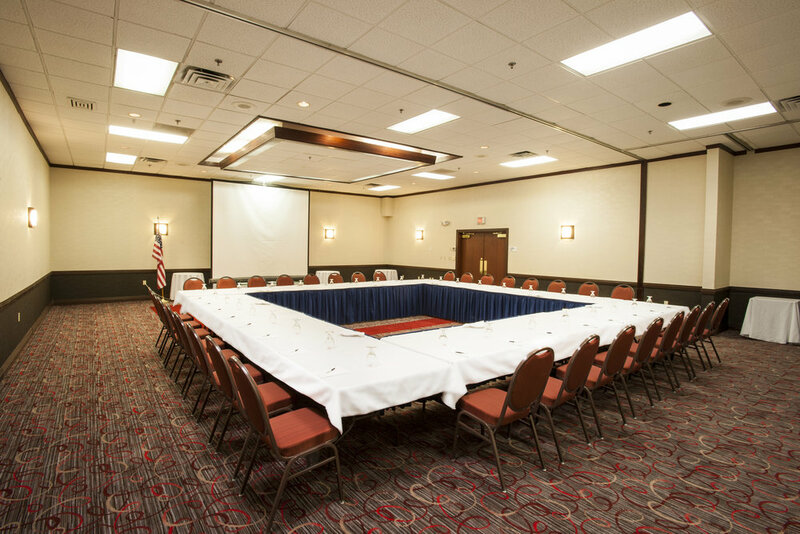 From business conferences and training sessions to wedding receptions and holiday parties, the Radisson Hotel Madison has meeting facilities with prime amenities that help you host a memorable event. For more information or to talk to our sales team about scheduling your next event, please click here or call 608-833-0100. The Radisson Hotel Madison has all the amenities you need to ensure a productive and relaxing stay, Unwind in hotel rooms outfitted with flat-screen HDTV's, free high-speed internet access up to 30 MBPS and executive desks. Free Breakfast is included in all rates. .Please click here to make your next reservation!